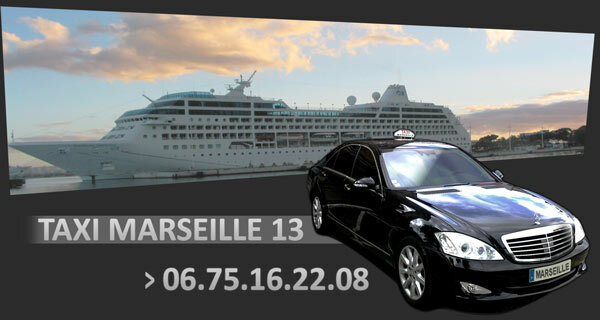 Taxi Marseille, Airport (MRS), Railroad, Cruise, Call Now +33 675 162 208 or book Online! We put at your disposal driver who speaks your language for unforgettable tours. Contact us and we will offer transport solutions tailored to your transfers, holiday or stop in Marseille. Main Railway Station Marseille located 10 minutes walk to the "Vieux Port". St Charles Railway Station - Marseille Provence Airport : 26 km. St Charles Railway Station - Aix-en-Provence : 30 km. Located between Marseille airport and Aix en Provence, 7km away. Boarding for the departures of the Cruise ship "Cap Janet", located at Gate 4 : 8km from the Saint Charles train station (10 minutes by car), and 25 km from Marseille airport (20 minutes by car). Distance and driving time between Marseille down town and cities. Distance and driving time between Marseille Airport and cities. Transfer from Marseille airport to Aix en Provence : 30 km (30 minutes). Transfer from Marseille airport to Arles : 71 km (60 minutes). Transfer from Marseille airport to Avignon : 85 km (60 minutes). Transfer from Marseille airport to Bandol : 79 km (70 minutes). Transfer from Marseille airport to Cannes : 174 km (110 minutes). Transfer from Marseille airport to Cassis : 59 km (60 minutes). Transfer from Marseille airport to Carpentras : 92 km (70 minutes). Transfer from Marseille airport to Châteauneuf du Pape : 92 km (70 minutes). Transfer from Marseille airport to Cotignac, Correns, Barjols : 100 km (80 minutes). Transfer from Marseille airport to Frejus : 145 km (90 minutes). Transfer from Marseille airport to Hyeres : 110 km (120 minutes). Transfer from Marseille airport to La Ciotat : 60 km (50 minutes). Transfer from Marseille airport to La Seyne sur Mer : 89 km (70 minutes). Transfer from Marseille airport to Le Lavandou : 131 km (110 minutes). Transfer from Marseille airport to Les Baux de Provence : 62 km (60 minutes). Transfer from Marseille airport to Les Embiez : 89 km (90 minutes). Transfer from Marseille airport to Mallemort Pont Royal : 54 km (45 minutes). Transfer from Marseille airport to Marseille city : 28 km (30 minutes). Transfer from Marseille airport to Marseille train Station Saint Charles : 29 km (30 minutes). Transfer from Marseille airport to Montpellier : 148 km (95 minutes). Transfer from Marseille airport to Nice : 205 km ( 120 minutes). Transfer from Marseille airport to Nimes : 101 km (70 minutes). Transfer from Marseille airport to Orange : 100 km (70 minutes). Transfer from Marseille airport to Saint Cyr Sur Mer : 68 km (50 minutes). Transfer from Marseille airport to Saint Raphael : 147 km (110 minutes). Transfer from Marseille airport to Saint Remy de Provence : 72 km (70 minutes). Transfer from Marseille airport to Saint Tropez : 160 km (120 minutes). Transfer from Marseille airport to Six Fours Les Plages : 89 km (120 minutes). Transfer from Marseille airport to Toulon : 92 km (110 minutes). Taxi marseille 13, taxi journeys in Marseille, taxi in "Saint Charles" train station (Marseille). Looking for a taxi in Marseille, Bouches du Rhône...? Contact us any time at +33 (0) 675 162 208.